Directed by Basquiat’s friend and filmmaker, Tamra Davis (Billy Madison, Crossroads, Half Baked, CB4, more than a hundred music videos), THE RADIANT CHILD is the definitive documentary on one of the most captivating figures of the contemporary art world. Containing one of the only full-length interviews on film or video Basquiat ever made, the film captures the legendary artist at the height of his career. 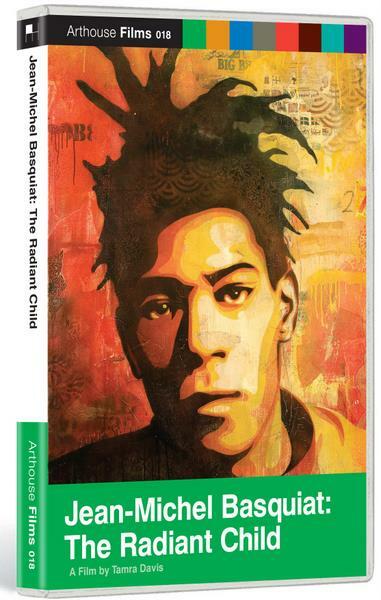 THE RADIANT CHILD also delves into Basquiat’s life as an iconoclast. His dense, bebop-influenced neoexpressionist work emerged while minimalist, conceptual art was the fad; as a successful black artist, he was constantly confronted by racism and misconceptions. Much can be gleaned from insider interviews and archival footage, but it is Basquiat's own words and work that powerfully convey the mystique and allure of both the artist and the man.